The urban centre of Pedrouzo in the parish of Arca and the capital of the council of O Pino (on occasions the administrative distinction of Galicia can lead to confusion for pilgrims), has been considered, in recent years and alongside Monte do Gozo, to be an end of stage for walkers before their imminent arrival to Santiago. 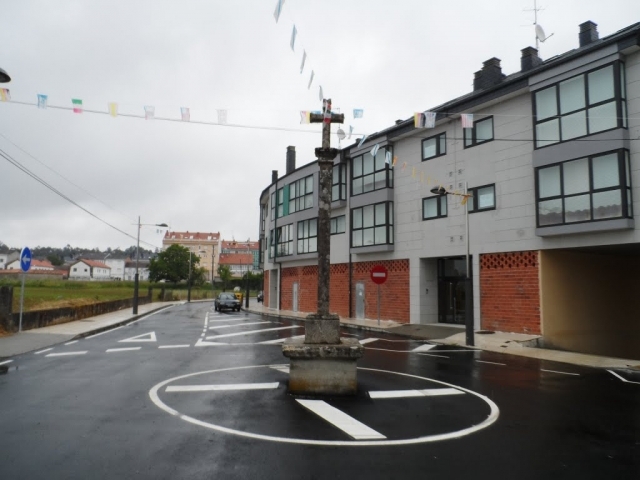 Despite the Camino not passing directly through the urban centre of Pedrouzo, it does border around it and, for this reason, coupled with the fact that it is situated at an ideal distance from compostela, (18 kilometres) many pilgrims choose to deviate less than one kilometre from the route to rest and eat in this location. From this location only four hours remain on the journey to Santiago. The enclave, the capital of a farming parish, offers all kinds of services. If you are traveling on the Camino de Santiago or are planning to do so soon, you should know that the distance separating Pedrouzo from Santiago de Compostela is 21 kilometers.